ROUGHLY A FIFTH of men and women aged 35 or over today will be living with a physical disability in 30 years’ time which will “severely restrict everyday activities”, new research suggests. 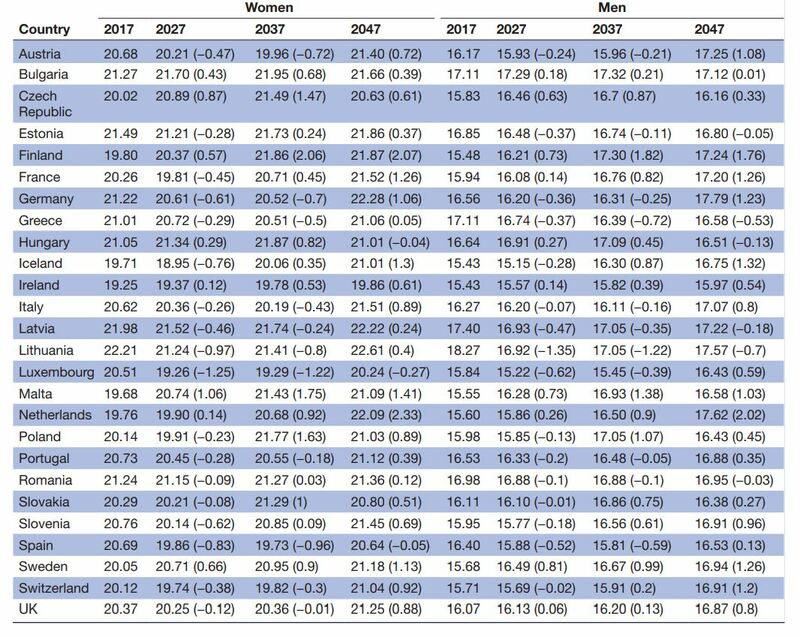 Recent analysis published in the online journal BMJ Open shows that the proportions of those living with such disabilities will remain broadly similar – the problem is that given the aging European population (and the fact that people are living longer generally) the absolute numbers will rise significantly. The researchers warn that this is likely to have considerable implications for the provision of supported care, as well as the training of healthcare professionals. The findings are based on the European Union’s Statistics on Income and Living Conditions (SILC) collected between 2008 and 2014, and gender-specific life expectancy projections from 2015 to 2050, released by the UN. Less of the research was focused on the impact of future health trends (a new strain of a disease for example) than on the self-reporting of current issues prevalent among those aged 55 and over in the 26 EU countries studied. Likewise, the researchers avoided focusing on those living in care homes, and instead targeted those who would voluntarily self-report as living with a debilitating physical disability. The rates of those declared as ‘living unhealthily’, meanwhile, across the countries surveyed are broadly similar, according to the researchers. However, the rate of self-reporting of such disabilities does vary across Europe – for instance, about one in 10 Irish women currently aged over 65 would self-identify as living with a physical disability. In eastern bloc countries, that figure is routinely far higher – 34.1% (or three in 10) in Slovakia for example, and 30.2% in Slovenia. That aside, the researchers estimate that about 21% of female and 16.8% of male Europeans, currently aged 35 or greater, will have “severe long-term activity limitations” by the year 2047. Looking closer to home, those figures are 19.9% of Irish women and 16% of Irish men living with activity-restricting disabilities in 30 years. Email “About a fifth of us aged 35 today will be physically disabled in 30 years”. Feedback on “About a fifth of us aged 35 today will be physically disabled in 30 years”.